You don’t need me to tell you that people love consuming media about food (maybe second only to how much they love actually consuming said food). There are whole TV channels dedicated to food. And even on the channels that aren’t food-specific, it seems like 50% of the shows are still about food! All that to say, people just can’t seem to get enough food media in their lives. And perhaps that’s the reason for the rise, and success, of independent food bloggers. I’m talking about people sharing their own food and recipes with the rest of the world using a blog as the medium. We built Epicurean for those people – the food bloggers. 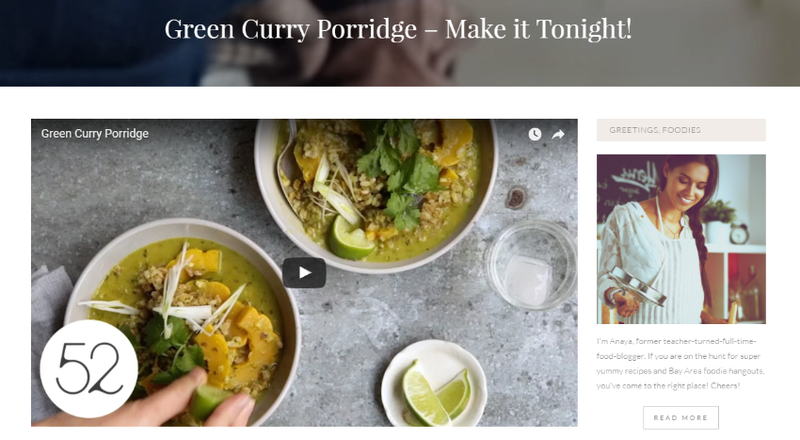 It’s packed with tons of helpful features to help you share your food and recipes as well as grow your audience. And in the following paragraphs, I’m going to share some of those awesome features with you. 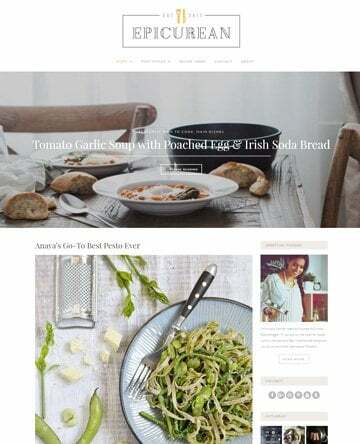 Epicurean is the perfect WordPress Theme for Food and Recipe Bloggers. Why is Epicurean The Perfect Theme for Food Bloggers? Epicurean isn’t another run-of-the-mill multipurpose theme. 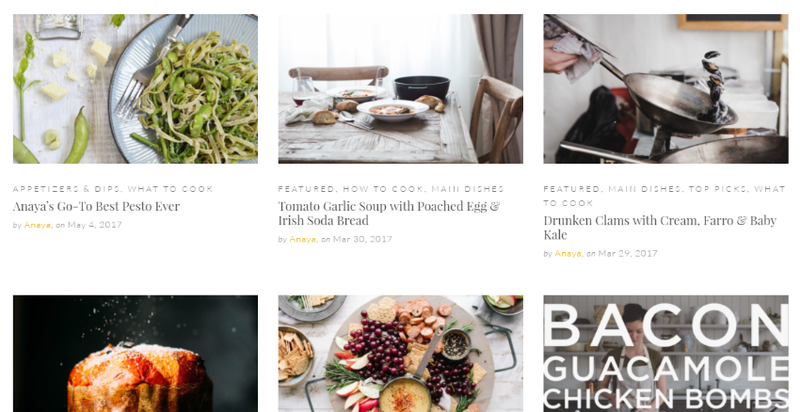 It’s built, from the ground up, for food bloggers looking to showcase food photography and recipes. 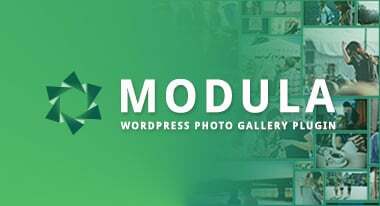 Have you ever installed a WordPress plugin only to be disappointed by how it looked on your live site? 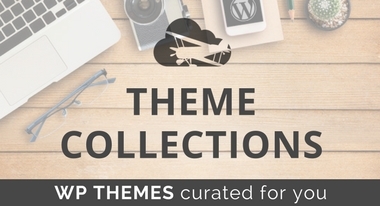 It happens all the time because themes and plugins aren’t coded specifically to work with each other. That means the style and alignments won’t always match. But because we know you need an easy solution to showcase your recipes, we went out of our way to make sure that doesn’t happen to you. See, we baked in support for the popular (and free) WP Ultimate Recipe plugin. 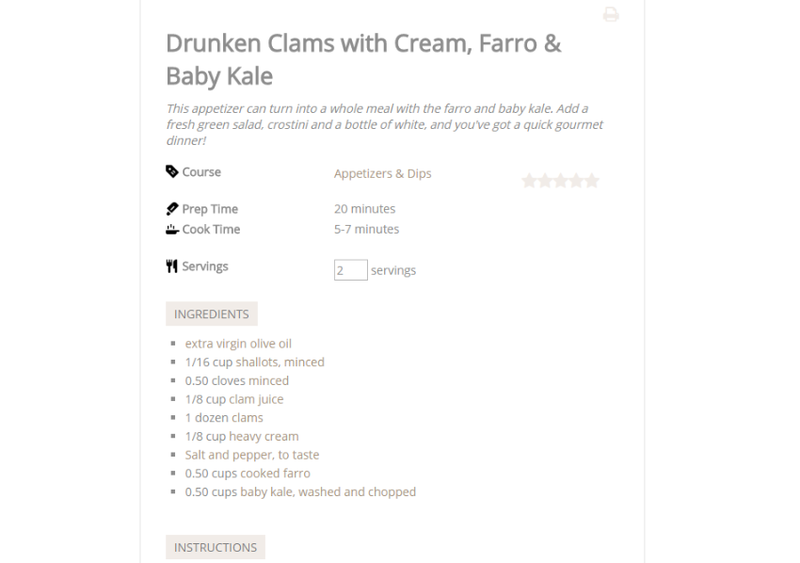 This plugin gives you an easy way to display ingredients, cooking times, instructions, and more. What’s even cooler is that your visitors can adjust serving sizes and have the ingredient list automatically update to match their desired serving size. And because we support WP Ultimate Recipe from the get-go, all these features will look pixel-perfect on your food blog without you needing to add custom CSS. When visitors land on your food blog, they’re looking for mouthwatering visuals of all the great food you’re serving up. We know this, which is why we packed Epicurean with tons of opportunities to showcase bold images of your food. 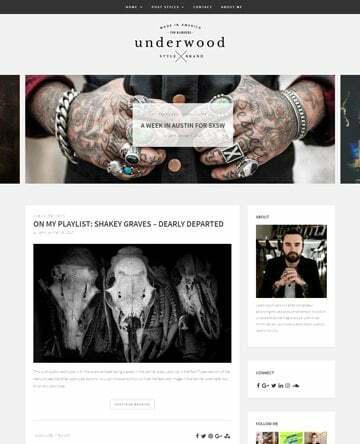 Display your featured posts with an eye-catching full-width image. Your readers can click the arrows to advance through all of your top content. But it’s not just about your homepage. 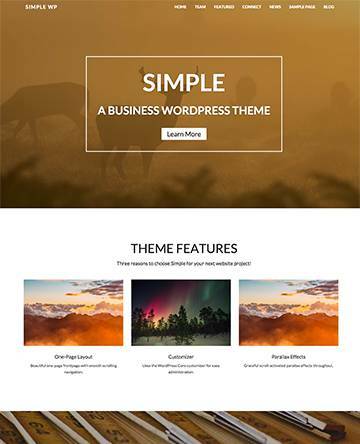 Epicurean also ships with 9 custom post formats, including dedicated layouts for everything from videos to galleries and audio. If you’re blogging about food, we know there’s a good chance you’re also sharing pictures with your Instagram fans. 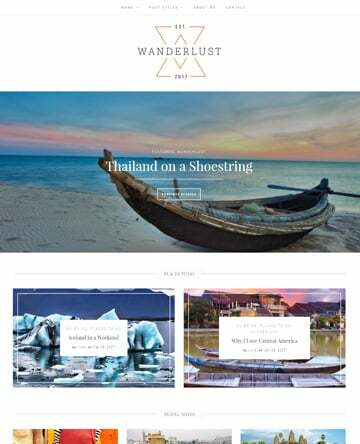 Epicurean makes it easy to bring those images onto your site with a built-in Instagram feed that you can display in either your sidebar or footer. Boost your Instagram following and repurpose your Instagram photos – all with one simple widget. And for social media follow buttons, you can display them in your sidebar, footer, or both! Food imagery is massively popular on social networking sites like Pinterest and others, so having social media integrated into your food blog is an absolute must. 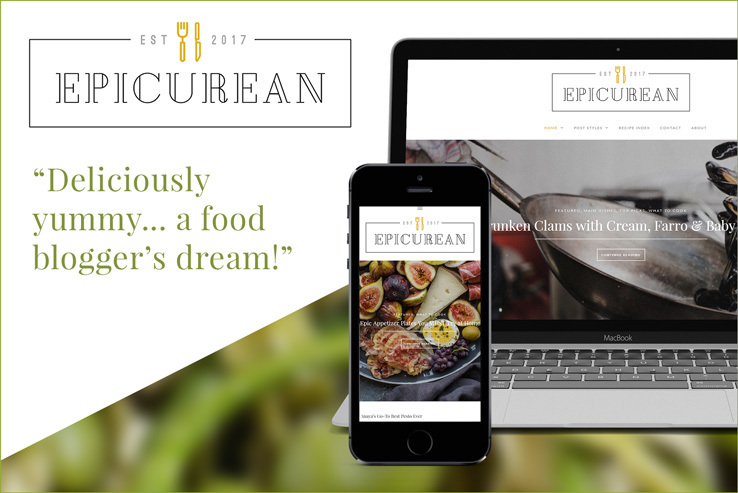 We set out to make Epicurean the perfect WordPress theme for food bloggers right out of the box. 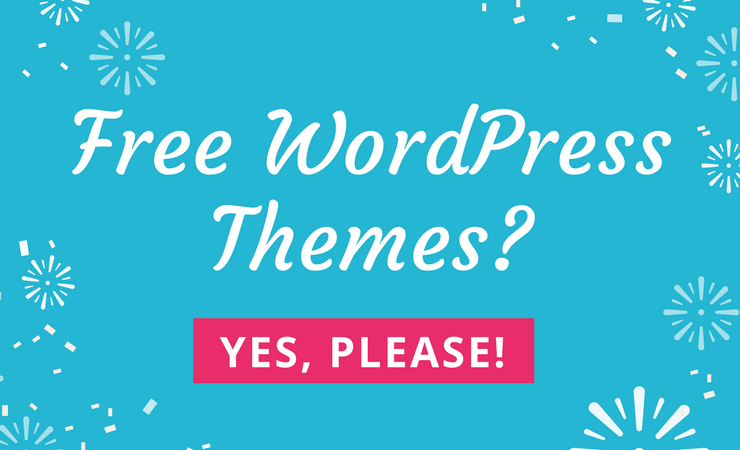 But we know that you’re still going to want to tweak the theme to really make it your own. 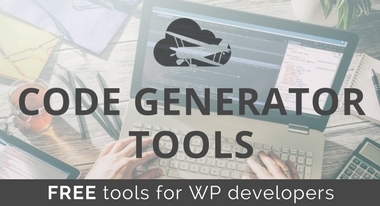 That’s why we made sure to use the native WordPress Customizer so that you can make tweaks without needing to know any code. Better yet, you’ll be able to preview all your changes in real-time. Want to switch a color? Just use the simple color picker tool and instantly see how the change affects your site. This isn’t a feature you’ll notice on your front-end site, but we’d be remiss if we didn’t discuss some of the behind-the-scenes steps we took to make sure your site always performs well. See, having a poorly coded WordPress theme affects your site’s performance, usability, and SEO. It’s just plain not something you want, which is why we made sure that Epicurean follows all WordPress code standards. First off, we built Epicurean on the popular and well-vetted Bootstrap Framework. Then, with all of the other features that we added, we emphasized writing clean, optimized code. Excited to start sharing your amazing food with the world? Whether you’re a hobby chef or the next Rachel Ray, Epicurean is well within your budget. If you’re ready to get started, you can purchase Epicurean here. Or, if you want to see how it works, you can check out the demo here.